Hungry? A new neighborhood Japanese spot has you covered. Called Megumi Japanese Ramen & Sushi Bar, the new arrival is located at 915 Race St. in Chinatown. This new spot specializes in Japanese sushi and ramen dishes with hints of Chinese and Thai influences. On the sushi menu, expect to see items like veggie rolls with cucumber, avocado, or asparagus; "Rainbow Roll," a California roll topped with assorted fresh fish; "Passion Roll" with lobster salad, spicy tuna, mango, and avocado; and "Ocean Roll" with salmon, tuna, yellowtail, cucumber, avocado and tobiko. Switching over to ramen dishes, look for spicy chicken ramen with spinach, black mushroom, nori and egg; shoyu pork ramen with a house-made soy sauce and pork broth; and miso chicken or pork ramen with bean sprouts. With a 4.5-star rating out of 29 reviews on Yelp so far, Megumi Japanese Ramen & Sushi Bar is on its way to developing a local fan base. 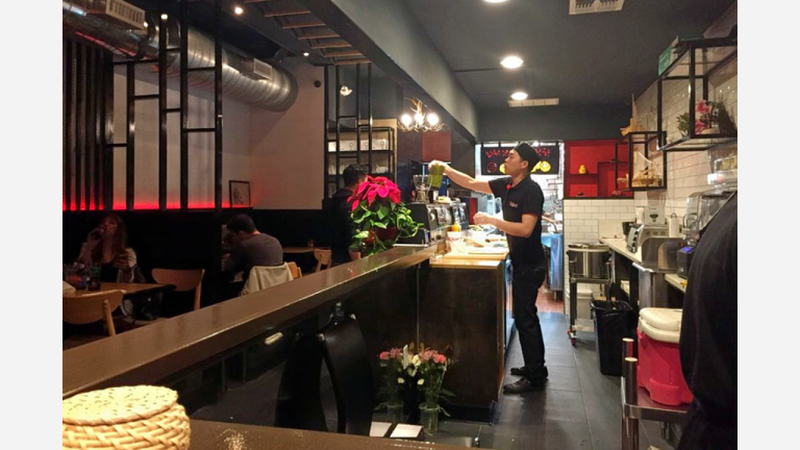 Mark D., who was among the first Yelpers to review the new spot on December 28th, said: "Nice decoration and nice service. Waitress Anna Liu was very corteous and friendly when serving my date and I. Food was also good and pork buns were delicious." Yelper Ed W. added: "Nice place. Been here twice. Food was great. Service was good. To my surprise, they had pints of Sapporo and Asahi on draft for $4." And Lilli M. said: "Megumi is the newest kid on the block in terms of ramen. It's literally around the corner from Terakawa, which I'd say is the favored ramen place around Chinatown." Intrigued? Stop in to try it for yourself. Megumi Japanese Ramen & Sushi Bar is open Friday and Saturday from 11am-11pm, and Sunday-Thursday from 11am-10pm.